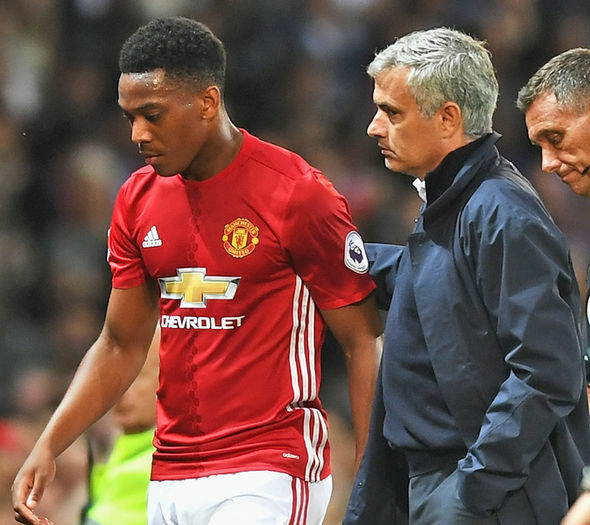 Manchester United manager, Jose Mourinho is glowing with pride key player Anthony Martial shows he has hit resurgent form this season. The French international was largely criticised by Mourinho last season, when he managed just eight goals, compared to 17 in his debut season following his £36million signing from Monaco. The 21 year old has scored four goals so far this term and Mourinho says the France striker’s form is down to an improved attitude. 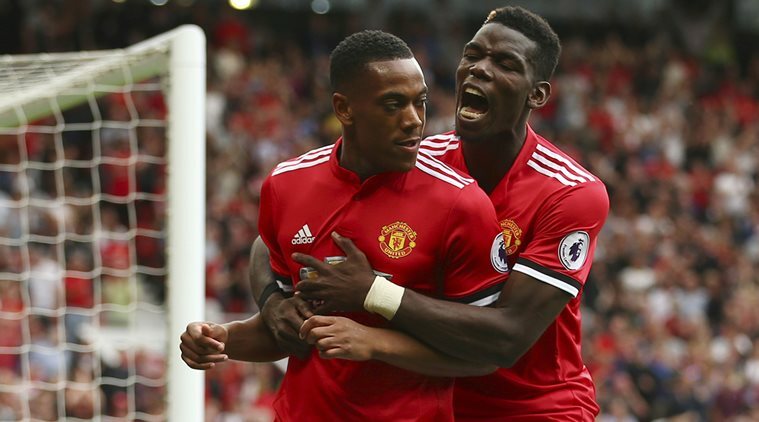 “I see a great improvement in the person, in the mood, in the face, in the body language,” a happy Mourinho said during his pre-match press conference on Friday. “If you want just a word, it’s the happiness. “He’s a happy guy, he’s working extremely well. He starts matches, he tries to do well. “He goes from the bench, even if it is for 10 minutes like in the last match at home, he tries to enjoy and try to give something in these extra minutes. Mourinho also claims he is not bothered about his side playing six of their next seven games in all competitions, away from home. “It’s very difficult, but it means it’s going to be easier later. If we play now against CSKA in Moscow and Benfica in Lisbon, it means later we are going to play them at Old Trafford. “If we have consecutive matches at Liverpool and Huddersfield, it means later we are going to play them at Old Trafford, so I’m never too worried about matches at home and away, because the number of matches is going to be the same, unless in the domestic cups, you are always in the cold balls and some clubs are always in the hot balls. “But I’m not worried about it. I know it’s difficult to play at home, it’s difficult to play away, it’s probably more difficult to play away. But if we can’t win, we try to get a point. We go to win every match, but if its impossible to win all the time we try to get points. Mourinho also gave no specific date for the return of Paul Pogba who copped an hamstring injury a fortnight ago in the UEFA Champions League. “No idea, no idea,” said Mourinho. “But again, it’s a great opportunity for other players to play and I trust them all. So I’m not going to cry or count the days for Paul to be back.